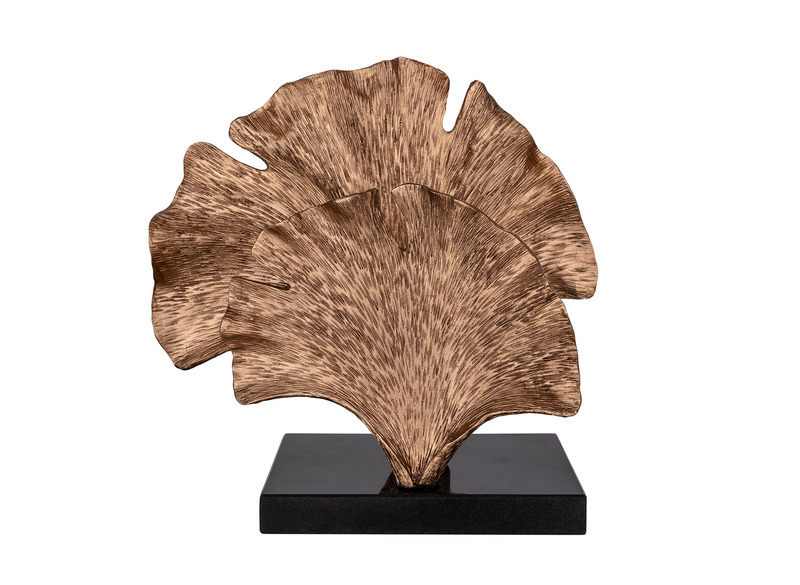 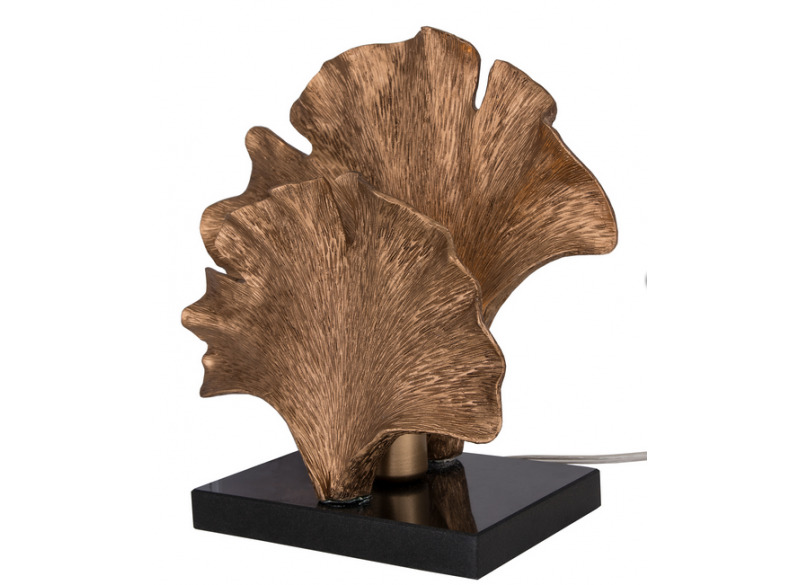 Ginkgo is inspired by nature and the elegant shape of the Ginkgo tree's leaves. This lamp has a cozy indirect light and also some tasteful influences from Art Deco. 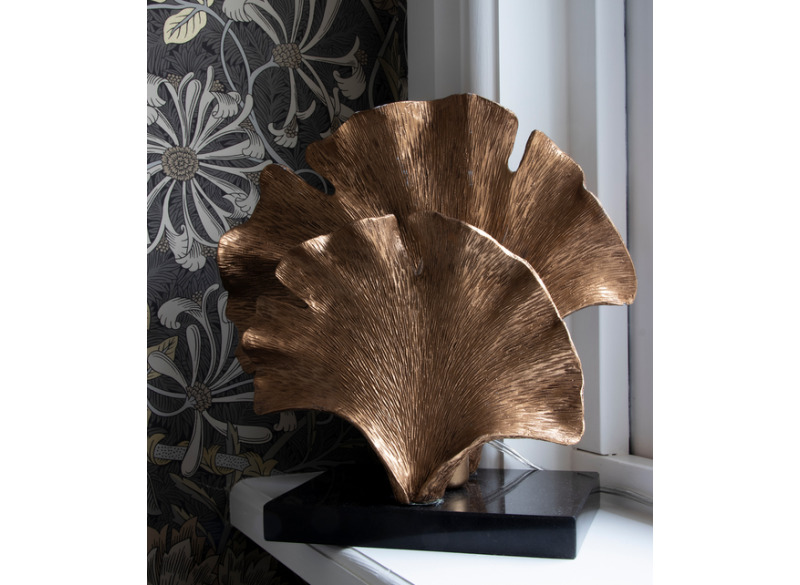 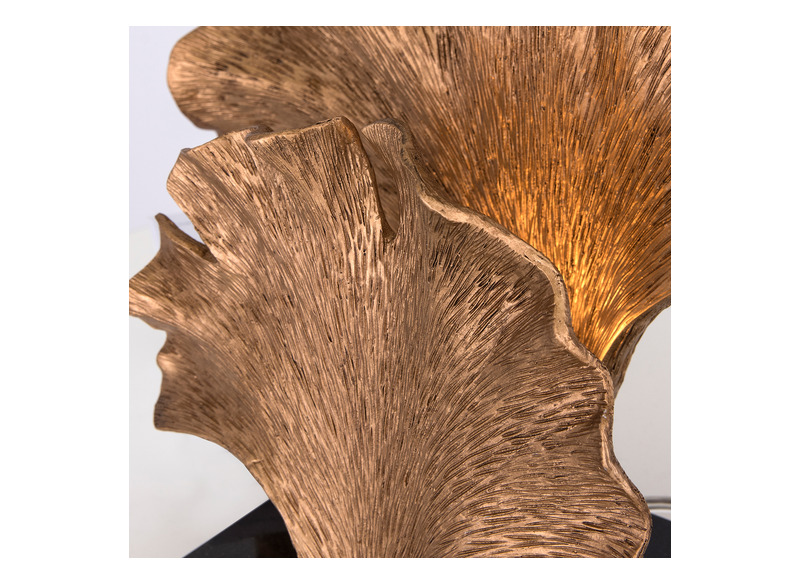 The brass coloured leaves are made of polyresin and they are mounted on a luxurios black marble base. 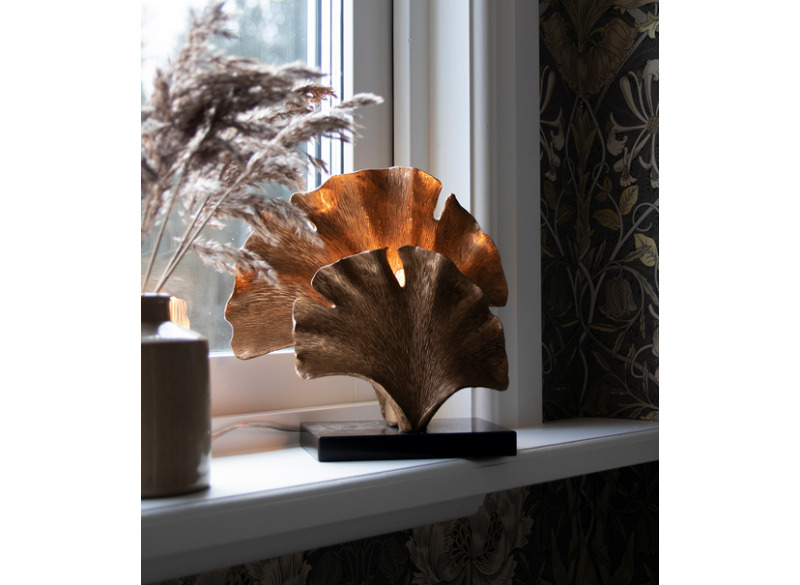 Ginkgo has a 200 cm long transparent cable with switch.